Black Swan, the highly anticipated new feature film by American filmmaker Darren Aronofsky (Golden Lion recipient in 2008 at the 65th Venice Film Festival for The Wrestler), will be the opening film – in Competition – of the 67th Venice International Film Festival. A psychological thriller set in the world of New York City ballet, Black Swan stars Natalie Portman as Nina, a featured dancer who finds herself locked in a web of competitive intrigue with a new rival at the company (Mila Kunis). Black Swan takes a thrilling and at times terrifying journey through the psyche of a young ballerina whose starring role as the duplicitous swan queen turns out to be a part for which she becomes frighteningly perfect. 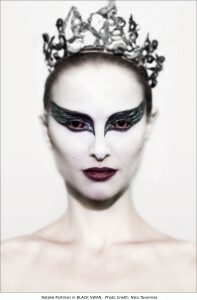 Black Swan also stars Vincent Cassel, Barbara Hershey and Winona Ryder. The 67th Venice International Film Festival will take place on the Lido from September 1 through 11 2010, directed by Marco Mueller and organized by la Biennale di Venezia under the chairmanship of Paolo Baratta. Black Swan will have its world premiere screening on the evening of September 1 in the Sala Grande (Palazzo del Cinema), following the opening ceremony. The film is written by Mark Heyman and Andres Heinz and John McLaughlin, produced by Protozoa Pictures and Phoenix Pictures and presented by Fox Searchlight Pictures in association with Cross Creek Pictures. “The cast and crew of Black Swan are both excited and humbled by the festival’s invitation. It is an honour to walk the great red carpet on the Lido and we are excited to premier our film to the wonderful audiences in Venice”, said Aronofsky. Darren Aronofsky is one of the key figures of contemporary film. He was a Golden Lion recipient in 2008 at the 65th Venice Film Festival for The Wrestler which went on to win numerous Independent Spirit Awards and featured a remarkable performance by Mickey Rourke, who won a Golden Globe® award, BAFTA® award and received an Oscar® nomination. A creative author who has always experimented with new forms and montage in the visual arts, Aronofsky’s 1998 debut PI won the Best Director award at the Sundance Film Festival and an Independent Spirit Award for Best Screenplay. His second film Requiem for a Dream, based on the novel by Hubert Selby Jr., premiered at Cannes in 2000. The film won a number of international awards; its star Ellen Burstyn was nominated for an Academy Award® and it remains a signature motion picture for a generation of filmmakers. In 2006, he premiered The Fountain, starring Hugh Jackman and Rachel Weisz at the 63rd Venice International Film Festival. A psychedelic romantic science fiction film it was both praised and critiqued for its scope and ambition.